Robert DuGrenier, of Townshend, Vt., works on making glass ornaments for the big push before Christmas weekend. Dugrenier can make nearly 100 ornaments a day, around one every three minutes. DuGrenier has been blowing glass since 1973. He offers classes Wednesdays and Saturdays after 3:30 p.m. Call for an appointment at 802-365-4400. 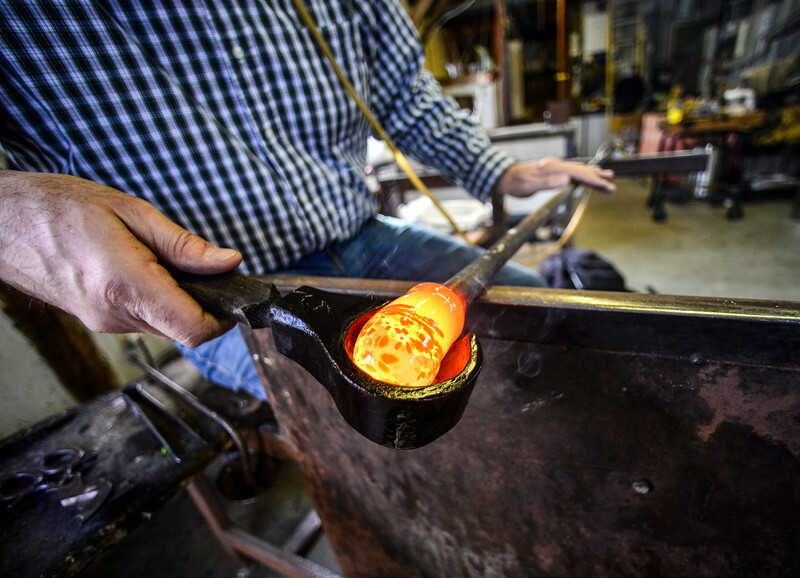 DuGrenier uses a tube to slowly blow air into the glass ornament while using a shaping tool to keep it round.